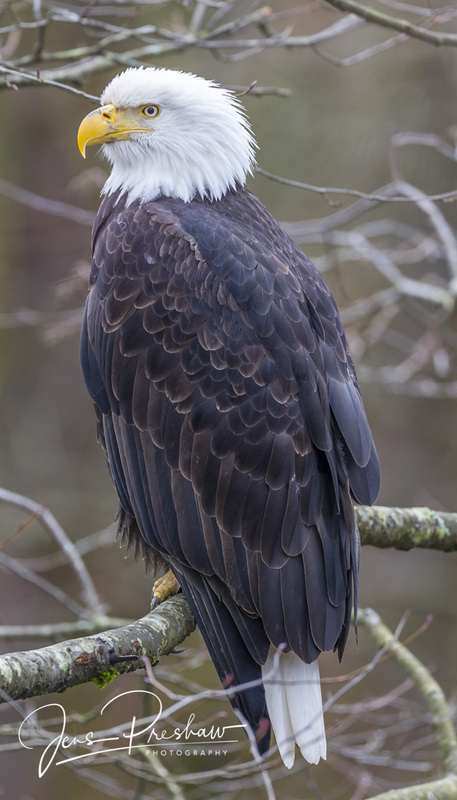 The Bald Eagle ( Haliaeetus leucocephalus ) can have a wingspan of more than two metres. It is Canada's largest bird of prey and in the winter they will sometimes gather by the hundreds. Its diet consists primarily of fish, however, if fish are scarce it will eat rabbits, squirrels and birds.